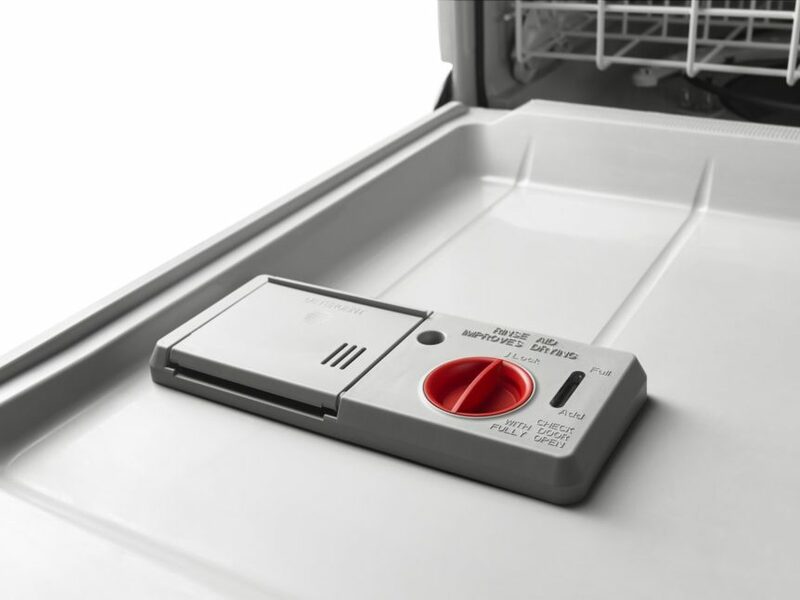 When it comes to washing your dishes, your dishwasher can get them kind of clean on water alone, but it is the detergent that makes all the difference. Unfortunately, you won’t really realize this until the day that the dishwasher dispenser fails to work. If the dispenser does not open during the wash cycle to dispense the detergent, then it is faulty and needs replacement. As the detergent dispenser is actually quite easy to replace, it is not as much of a big deal as you might expect. Start by removing the screws on the inside of the door that secure the outer panel. Without the screws, the panel can be pulled down and then out. The dispenser will now be accessible. Disconnect the wire harness and remove the screws that secure the bracket. The bracket and shields can now be removed. You can now release the tabs and remove the dispenser. Installing the new dispenser from the inside, you can snap it in. The shield and bracket should now be reinstalled, connecting the wire harness last. The outer door panel can be installed by aligning it and pushing it up. Restore the power and run a test wash with the new dispenser. If there is still detergent in the dispenser after the wash, it did not dispense during the wash cycle. At this point, if it is not dispensing, you may want to contact a professional repair service. If you replaced the part, it may not be because you replaced it incorrectly, but there is a larger problem at play, such as an electrical issue that is not allowing it to trigger.